Pig welfare and biosecurity were among the topics discussed at the Herning Congress in Denmark. Alex Robinson reports. From May 2017, the Danish pork consumer will be able to buy products which have been assigned a new welfare label as the public call for greater transparency when it comes to ethical meat production. A recent survey concluded that more than 70 per cent of Danes are conscious of animal welfare when buying meat, and many consider current package labels ‘insufficient’ in relaying information about the welfare conditions of the animals. Congress delegates were told that unclear labelling as well as pricing factors were the main reasons the public noted for not buying products with good welfare standards. 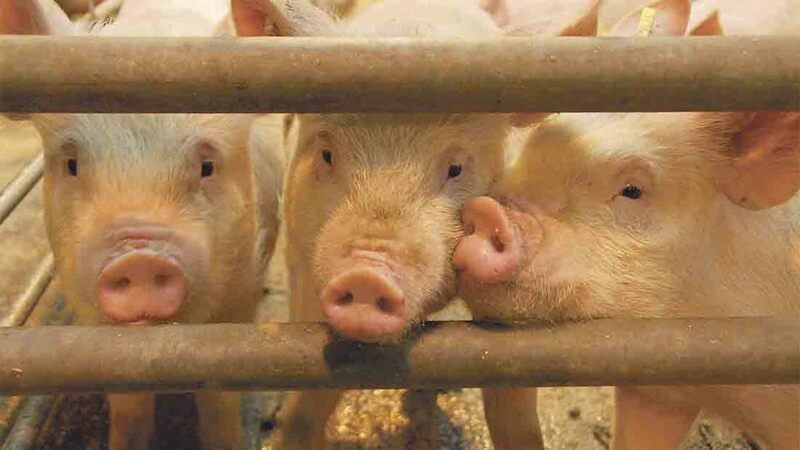 In an attempt to satisfy the demand for clearer ethical indication, the ‘Hearts for Pigs’ branding system has been introduced by the Ministry of Environment and Food. The new logo ‘Bedre Dyrevelaerd’ (Better Animal Welfare) contains three hearts, coloured to describe the official ranking of the associated welfare standards. The more hearts, the better the welfare. The majority of Danish retailers have signed up to the scheme and will begin to sell the labelled products in Danish stores by next spring. Co-op are the only named brand to remain with its current strategy. The requirements are notably stricter than the current EU statutory welfare standards. Initially to be used in the pork industry, there is hope that if successful this government-backed programme will be introduced into other meat sectors. After a 2016 report revealed that 82 per cent of EU citizens believe welfare on farms should be better protected, the Danish agriculture industry has suggested 2018 will be the year tail docking becomes obsolete. Performed to reduce the risk of tail biting, current EU legislation states tail docking should only be used as a last resort, once all other preventative methods have been excluded. Professor Sandra Edwards, of Newcastle University, discussed how the consumer demand for better welfare conditions meant a tail docking ban would be a necessary implementation, but the 2018 goal was ‘unrealistic’ and questioned whether the benefits of tail docking were justified enough to carry it on as a routine management procedure. Professor Edwards discussed how eliminating certain risk factors on-farm can reduce cases of tail biting. She said: “It is important to note that not all tail biting is the same. Two stage biting is a non-aggressive form, described as a redirected exploratory motivation. Sudden forceful biting is a spontaneous reaction to frustration over a lack of resource access. Obsessive biting is performed by individual ‘pathological’ pigs who are persistent tail biters, usually due to a nutrient deficiency or health problem. Recognising which is being carried out is the key to managing and preventing outbreaks. A future without confined farrowing? 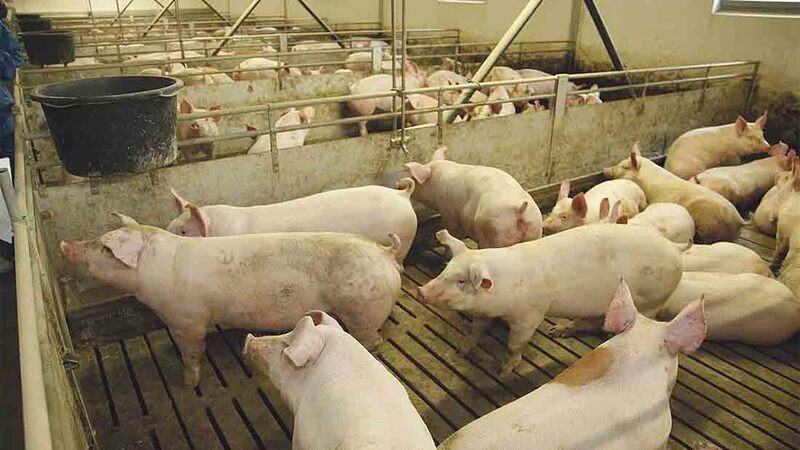 A test centre in Denmark is currently trialling a selection of free farrowing crates, in order to have 10 per cent of Danish sows loose farrowing by 2021. A total of 10 crates, all varying in design, floor space and feeding access are being tested at a farm to establish which one ensures piglet mortality is kept low, without conflicting with the sow’s welfare interests. With 90 per cent of Danish pigmeat ending up as exports, chief scientist at SEGES, Vivi Aarestrup Moustsen, noted that in order to remain competitive on the global market, pig producers must work towards improving the welfare of indoor pigs, in a country where outdoor production is limited.